The disease of discouragement show up in our lives as depression. How can we pull courage out of discouragement? Today, let's suggest some ways it gains access to our lives. 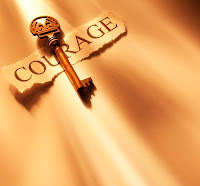 Tomorrow we will list 4 things to help pull courage out of discouragement.